Rabbi Nissim Toledano of the Council of Torah Sages has passed away. His funeral was held Sunday. Rabbi Nissim Toledano passed away on the Sabbath at the age of 78. He died shortly after collapsing at his daughter’s house in Bnei Brak. Rabbi Toledano was the head of the Shearit Yosef Yeshiva, and sat on the Council of Torah Sages. The rabbi was born on Morocco and came to Israel at age 23. He learned in the Ponevezh yeshiva and was a student of Rabbi Elazar Menachem Man Shach. Among the former students at Rabbi Toledano’s yeshiva are Chief Sephardi Rabbi Shlomo Amar, Rabbi David Abuchatzeira, and Rabbi Eliyahu Biton. 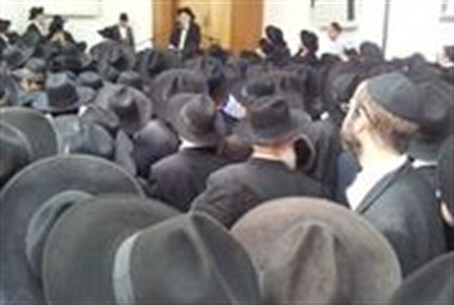 His funeral procession began at 11 a.m. Sunday at the Shearit Yosef yeshiva in Be’er Yaakov. The procession continued to Bnei Brak, where he was buried in the Ponevezh cemetery.